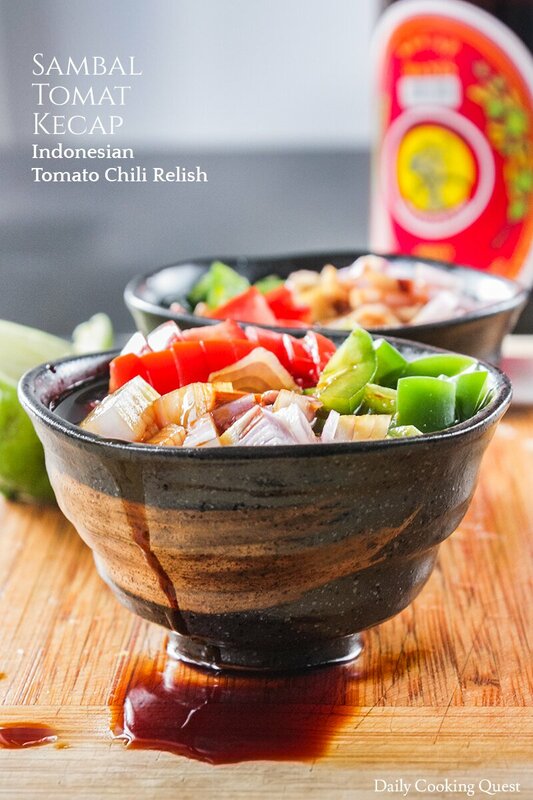 Indonesia is home to hundreds of chili sauce and relish. 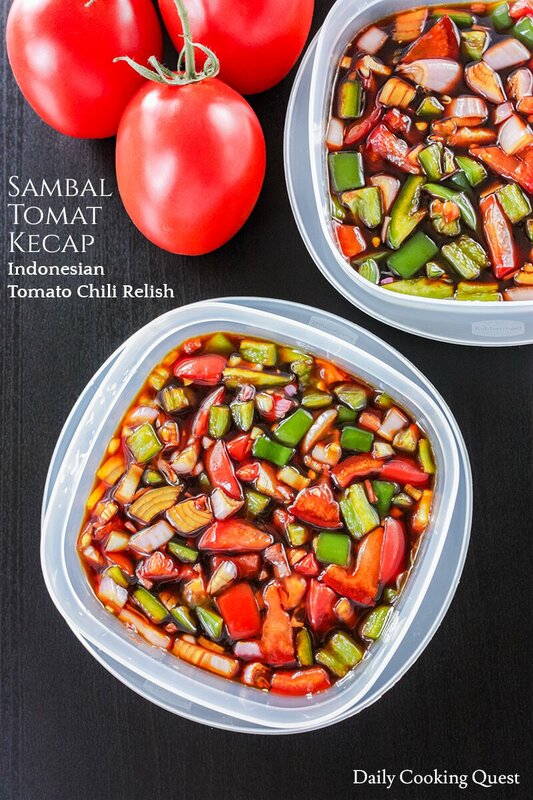 The easiest one to make at home is probably this sambal tomat kecap - Indonesian tomato chili relish. 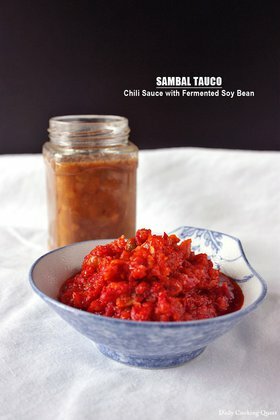 This sambal is a favorite accompaniment for fried/grilled chicken, fish, tofu, and tempe dishes. 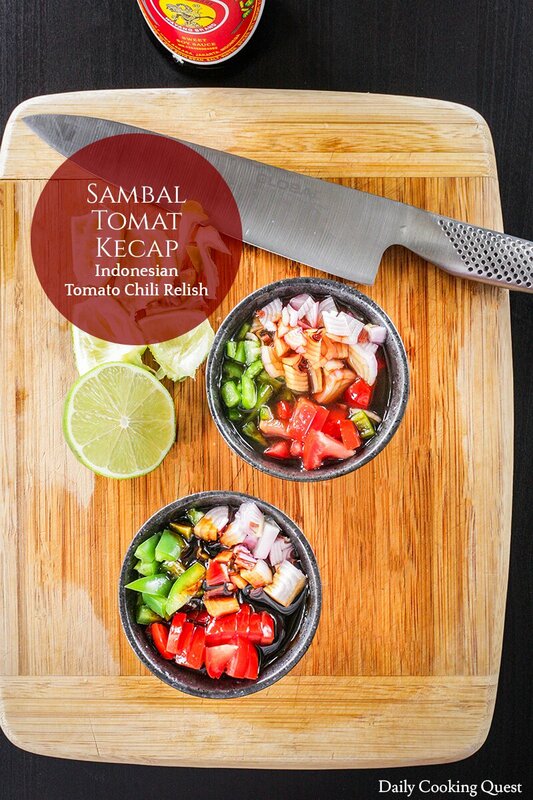 Also, unlike many Indonesian sambal with terasi (shrimp paste) in it, sambal tomat kecap is totally vegan friendly. You will need tomato, shallot, chili, lime, and of course kecap manis. 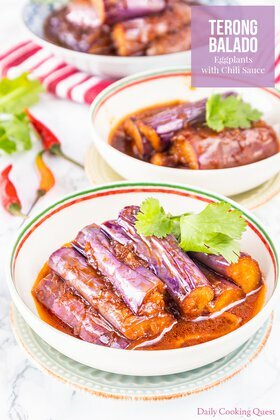 You can buy kecap manis from online (e.g. Amazon), but if your neighborhood Asian market has them, it will most likely be much cheaper. If you must make a long trip to Asian market, be sure to stock up since they can last for a while. Once you gather all the ingredients, all you need to do is some chopping, pouring, and squeezing. Dice tomato, slice the chili and shallot, and place them in a bowl. Next, cut and squeeze one lime into the tomato mixture. Finally, pour the kecap manis. Just mix everything together and your sambal tomat kecap is done. Mix everything together. Store in the fridge if there is any extra/leftover. 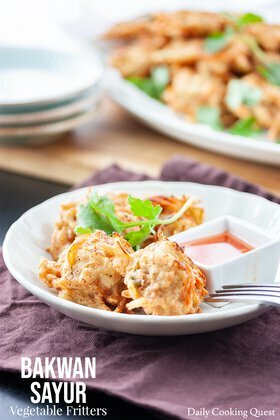 (*) If using the smaller Indonesian shallots, you need about 3. (**) For extra heat, use green Thai bird eye chilies, or a mixture of jalapeno and Thai bird eye chilies. You can try with the other way.. And get the real nice taste Garlic Onion Jalapeno Tomato (Jalapeno, tomato, garlic fried without sliced just 2 minute) than blend at all.. after that mix with kecap manis add next step Slice onion into small pieces than fried..last put on the sambal tomat.. you will get nice smell onion fried.. for best taste using Kecap Bangau..
Haha, kecap ABC juga oke, tapi kalo di toko pas ada Bango, masih lebih demen soalnya dari kecil di rumah pakenya itu sih.